The State of Florida has a very comprehensive and nationally recognized transit system safety and security program codified in Rule Chapter 14-90, Florida Administrative Code. The Florida Department of Transportation as the agency responsible for ensuring Florida transit agencies’ compliance with the rule has consistently been proactive in providing training, technical assistance and opportunities for stakeholder input related to transit safety and security in the state. But, there is now a critical juncture for transit agencies across the country and Florida’s systems. In an effort to prepare Florida’s transit agencies for the regulations and guidance that will be issued by FTA in response to the Moving Ahead for Progress for the 21st Century (MAP-21) Act , the anticipation of modifications that will need to be made to Florida’s system safety and security programs due to the transition to FTA’s Safety Management System approach to safety programs, and the increased statewide focus on ensuring the safe operation of Florida’s public transportation industry, the establishment of a Florida Transit Safety Network (FTSN) is warranted. Transit safety crosses a number of public transit disciplines. With this understanding, it will be critical that the activities of the FTSN complement that of the FON and the FTMC and continue to improve transit safety for Florida’s transit agencies. There are a number of methods that will be employed to ensure the most effective utilization of the FTSN, while at the same time recognizing that some transit safety related subjects may be more aligned with the mission of the FON or the FTMC. CUTR will work closely with the FDOT Project Manager to ensure the effective coordination with the FON and FTMC. The following activities and associated tasks will be undertaken in support of the FTSN. CUTR Project managers shall perform duties under the direction of the FDOT Central Office Transit Safety Programs Manager (serving as the “FDOT Project Manager”). Table 1 identifies those specific tasks associated with the management and administration of the FTSN that will ensure the successful implementation and continuation of this valuable transit safety stakeholder forum. These tasks include the development and management of a program website and listserv. Each year a FTSN Summit will be scheduled and conducted. The full-day summit will be held to occur on the day immediately preceding the annual FPTA/FDOT/CUTR Professional Development Workshop. The format, content, and logistics related to the Summit must be approved by the FDOT Project Manager. Costs associated with the FTSN member travel to the event and room rental charges (if applicable) are indicated in the program budget. The FTSN website will use the latest in website development technology to increase search engine visibility and leverage engagement with the industry. The website will include an expanded listserv that will offer a method for public transportation community members and researchers to exchange ideas, network, and synergize information. The website will also include a rolling news section and link to the Florida Transit Safety Network listserv. Links will be provided to numerous websites including but not limited to: the Transportation Safety Institute (TSI), National Transit Institute (NTI), Federal Transit Administration’s primary and Bus Safety websites, Transportation Research Board/Transit Cooperative Research Program website, Florida’s Substance Abuse Management (SAM) site, Community Transportation Association of America (CTAA), the American Public Transportation Association (APTA), National Rural Transit Assistance Program (RTAP), and the National Center for Transit Research (NCTR). The development of the website, including the design and content elements, will be closely coordinated with the FDOT Project Manager. CUTR will develop training curriculum and/or work with training entities such as the Transportation Safety Institute (TSI), the National Transit Institute (NTI), the National RTAP, and the Community Transportation Association of America (CTAA) to deliver transit safety related training to Florida’s public transportation agencies. 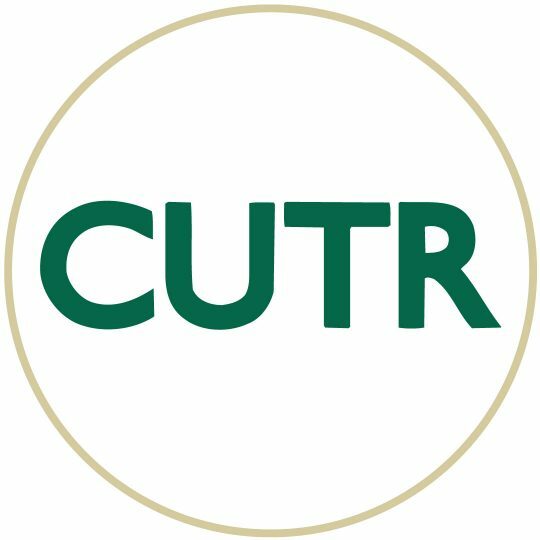 CUTR developed training curriculum will include corresponding instructor guides and participant manuals, PowerPoint presentations, and any other media related materials and may be provided in the following platforms as directed: instructor lead training, computer based training (CBT) and/or e-Learning. All CUTR developed curriculum will be submitted to the FDOT project manager for approval prior to its release. Training activities will be conducted at the direction of the FDOT Project Manager. In order to determine training needs, CUTR will work with FDOT to develop an electronic training needs assessment evaluation tool for identifying the critical training needs of Florida’s public transit systems. CUTR will utilize the input provided by members of the FTSN. A final list of training courses will be developed by CUTR as directed by the FDOT project manager. At a minimum, four training courses will be provided each year, three of which will be instructor led classroom training. CUTR will schedule and/or develop identified training courses and will provide logistical support and coordination for these courses. For those courses not developed by CUTR, this support will include negotiating costs with training institutions or independent contractors for training, issuing purchase orders, and approving final invoices. Additionally, CUTR will develop training marketing information, coordinate and manage registrations, reminders, and announcements through the Learning Management Systems (LMS) TransportationLearning.org and via email. CUTR will coordinate training rooms, audio visual equipment and support, provide training materials, and provide travel related logistical support for training program participants. In the event there are any changes to the schedule for deliverables, the development of curriculum or any other deviation from the project schedule and milestones, an explanation and corrective actions (if necessary) will be provided within quarterly progress reports. An updated list/summary of training courses offered during the quarter as well as details about the courses offered including, number of training participants, location, and overall course evaluation results. A summary of upcoming activities including training courses. Updates to budget risks previously identified and newly identified risks and recommended mitigation strategies. Lisa Staes is the Director of Transit Safety and Workforce Development Programs at CUTR. Ms. Staes will provide overall direction and guidance to CUTR staff and faculty throughout the scope of this project/program. She will maintain primary responsibility for the successful completion of each task associated with the scope of services for the project. Additionally, she will schedule, attend and moderate FTSN meetings, ensure the development and continual update of the program website. She will maintain close coordination and communicate with the FDOT Project Manager on a regular basis. Jason Begley is a Senior Research Associate at CUTR. Mr. Begley will assist with coordination activities related to the FTSN meetings and the Summit. In addition, he will be provide support to the FDOT Project Manager and members of the FTSN in the development of white papers or information briefs needed by the FTSN to further transit safety discussions, as directed by the FDOT Project Manager. Mr. Begley will also lead the development and update of the project website and will work closely with the website designer and administrator, Stephanie Lewis. Stephanie Lewis is an Instructional/Multimedia Developer at CUTR and will develop, maintain and update the project website. She will also provide technical support for the listserv and technology utilized in the courses. In the event a CBT module is developed by the program, Ms. Lewis will coordinate and execute the development of the CBT at the direction of the CUTR Project Manager and with the approval and support of the FDOT Project Manager. Molly Buffington is a Training Support Specialist at CUTR and will provide administrative assistance for course offerings, meetings, memos, e-mails, and travel coordination and reimbursement for FTSN members. CUTR will include other faculty and staff as necessary to successfully manage and administer the Florida Transit Safety Network. The CUTR Project Manager will notify the FDOT Project Manager of any new personnel assignments or modifications to the existing project team.